Are you thinking of taking a step into the world of Stock markets? If yes then we provide you with everything that you need to know beforehand that will allow you to be a better investor. A stock broker is a person who acts like a financial advisor and takes care of your stocks. When you plan to learn about the stock market, learning about the functions of a stock broker is an integral part of the process. 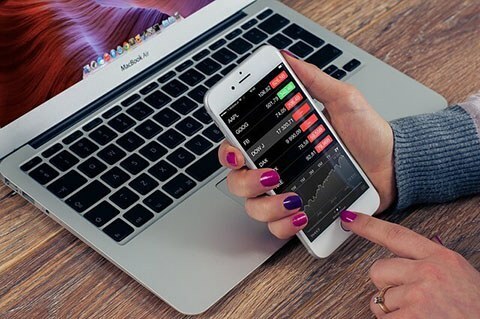 There are three types of stock brokers; Full service brokers, that provide you several different services like investment planning and tax planning, discount brokers that allow you to trade shares at a low rate and Direct Access Brokers that make your investment process faster through electronic communication networks. A stock broker should be fair with his deals and loyal to his clients. He makes suitable suggestions to his clients regarding when and where to invest. His job is to provide any details he knows about the company to his clients and to make deals on behalf of his clients. A good stock broker should regularly check the financial status of his clients and should observe the market trends very closely. An investor comes across two different concepts of investment; debt investment and stock investment. Bonds are a type of debt investment in which the return on investments are in the form of interest payments while stock investment is investing in the company’s shares after which the stockholder becomes part owner of the company. Not all companies pay back their stockholders by dividends but all bond holders receive interest on their bonds. Hence, bonds area safer investment. Two factors affect the interest rate on these bonds; inflation rate and price. If the inflation rate is generally high, then the interest rates are increased to tighten the cash flow in the economy which reduces aggregate expenditure in the economy and vice versa. Prices on the other side are inversely proportional to the interest rates. When interest rates are higher, prices are low and vice versa. These factors affect the decisions of investors. You also need to make yourself aware of the commonly used terminologies in it. Only then you can have a clear understanding. A mutual fund is a type of collective investment scheme that generates money by investors willing to purchase securities. These also include government bonds that are characterized by low risks but the return is not high enough. Debt funds are another type of mutual funds and they include funds like, securities, debentures, bonds etc. These funds earn a moderate return and don’t face much fluctuation. Index funds, on the other hand, are those collective investment schemes that the copy the movements of the indices in the stock market. When an investor is unable to decide whether to invest or not in other funds, he usually goes for index funds. Income stocks are those that generate income from particular stocks. These are risk bearing stocks because they face high fluctuations in their prices.